Virginia dispatched No. 16 seed Gardner-Webb in a first round 2019 NCAA tournament game on Friday, but it wasn't easy. The Cavaliers entered the tournament as a No. 1 seed for the second straight season. After last year's infamous loss to UMBC, the Cavaliers had the chance to take the first step toward putting last season behind them. But Gardner-Webb didn't lie down. The jokes started flying right away. Nine minutes into the game, Gardner-Webb led 20-10. The Bulldogs led 30-16 with 6:42 left in the first half. Virginia had 8 turnovers in the first half, and Gardner-Webb only had had 4. This wasn't an insurmountable first-half lead in a college basketball game, but given the context, it was impossible not to wonder. Virginia's loss in last year's tournament was its defining narrative this season. Until the Cavaliers beat their first round opponent, there was just no way around it. It was an emphatic comeback. Virginia launched into another gear to start the half, and made sure to put that slow start comfortably in the past. The Cavs went on a 14-2 run in the first five minutes of the second period. 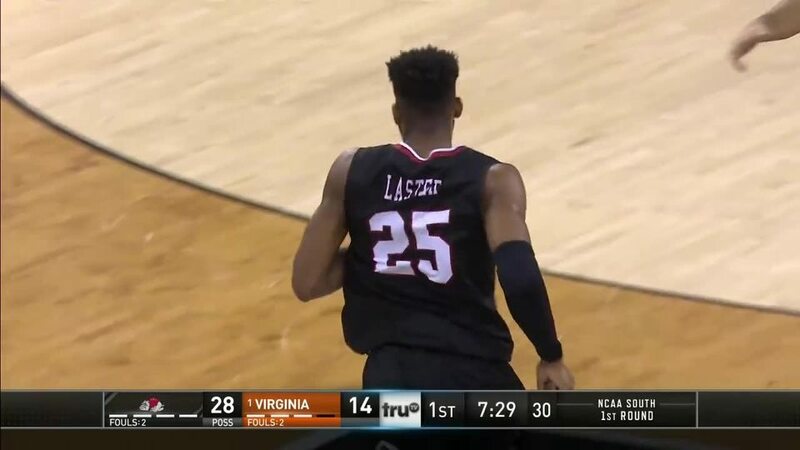 Virginia is good at basketball. The narrative from last year's loss won't go away anytime soon, but there's a reason the Cavaliers won as many games as any power conference team in the country this year. Bennett's team was one of only four squads all year to rank in the top 10 of Ken Pomeroy's offensive and defensive efficiency numbers. While last year's Virginia team only ranked 30th on offense, this one has no such difficulties. That was apparent in the second half. De'Andre Hunter, who injured his wrist and was not able to play in the tournament last season, scored 17 of his 23 points in the second half. Ty Jerome had 13 points on 10 shots, Mamadi Diakite was able to finish off almost every opportunity he was given down low, and Virginia finished the game shooting 52 percent from the field. The Cavaliers will play Oklahoma on Sunday.